It’s been just a few weeks since Millions and Billions (@millions_billions) dropped his latest tape and listeners are loving it. 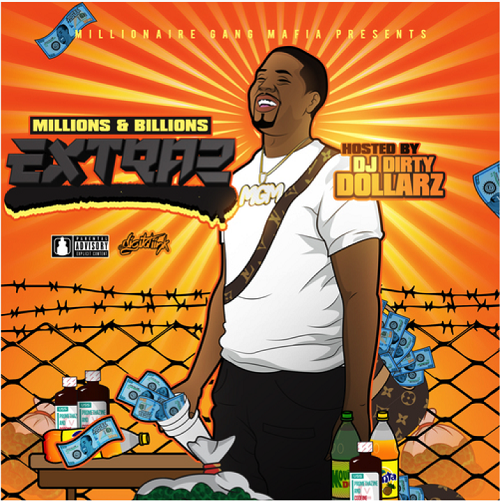 The Atlanta native teamed up with DJ Dirty Dollarz (@ogdirtydollarz) to release “Extraz”, in which Millions taps into his inner hustler for tracks like “Want 4 Nun”. The 11 track project includes a combination of uptempo trap beats and slower pace beats with bass, giving fans a range of sounds throughout. “Extraz” also includes 7 features from fellow artists like Hood Rich Pablo Juan, who Millions collabed with for the final track “Want the Money”.